A desk is perhaps one of the most important furniture pieces in an office, study, workspace, or library. It’s where you think deeply and work hard, where you apply your creativity and intelligence to all kinds of problems, big and small. At The Workplace Depot, we have desks of all shapes and sizes for every need. We have desks that will fit in your office, look sophisticated, and provide plenty of storage for files, folders, and paperwork. Our office and computer desks are wonderful options for any home office or workspace that requires a sturdy, practical, yet attractive place to sit and get things accomplished. Our Cantilever Leg Desks, such as the Impact Rectangular and Fraction Systems Rectangular Cantilever Leg Desks, have cantilever leg frames that are modern in look and appeal. 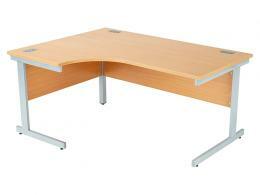 These two particular models have shallower desk areas, making them perfect for tight spaces and smaller offices. The Impact Wave and Fraction Systems Wave Cantilever Desks have subtly curved tops which come in both right-handed and left-handed options. Choose an Impact Rectangular Panel End Desk or Impact Wave Panel End Desk for a more traditional look, as these desks have panels on the back and sides. With The Workplace Depot’s range of office and computer desks, there are plenty of options for office configurations and desk layouts. For instance, any of our desks can be put together to form teams of desks. 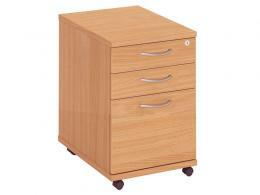 Desk pedestals are excellent for additional, secure desk storage, as most models come with two or three lockable drawers. Low desk pedestals like the Low Mobile Desk Pedestal and the Workmode Low Mobile Desk Pedestal are good for tucking underneath your desk. 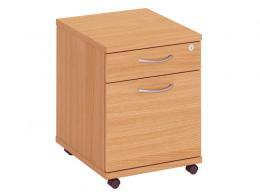 They come with castors for ease of movement and are available in multiple finishes. We also have a selection of high and fixed desk pedestals, providing multiple options for desk configurations and storage. Finally, our Rectangular and Round Meeting Tables will fit in any space and are spacious enough to seat a group of people. 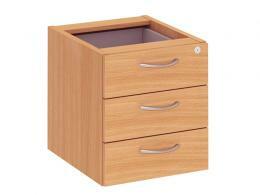 They also come in finishes that match our Fraction products. 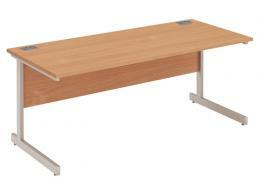 Our Meeting Tables come with a one year parts/labour warranty. Our desk pedestals come with parts/labour warranties up to 5 years, and all of our office and computer desks come with 2-5 year parts/labour warranties. 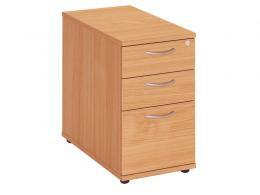 We also offer free installation for our desks, as well as free delivery for all products.